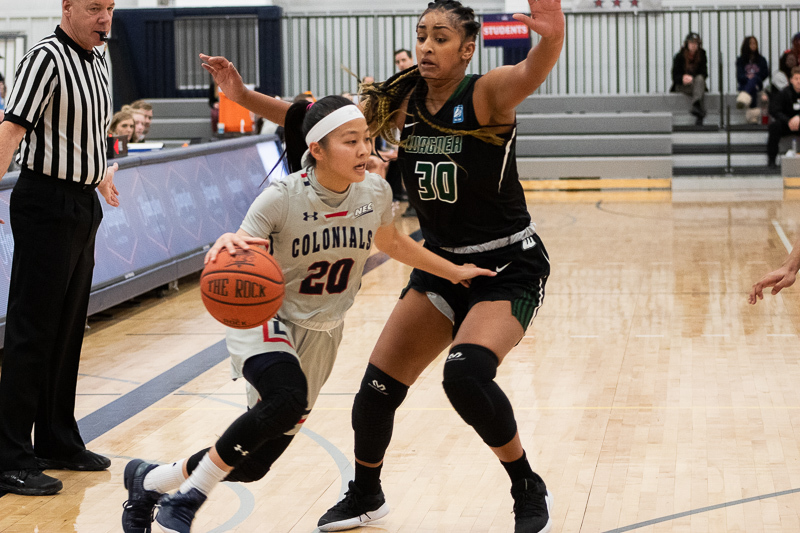 MOON TOWNSHIP -- Honoka Ikematsu drives to the hoop against Wagner on January 26, 2019 (Samuel Anthony/RMU Sentry Media). TEANACK, N.J. — The Robert Morris women’s basketball team (11-8, 8-0 NEC) will hit the road this weekend to take on the Fairleigh Dickinson Knights (6-13, 3-5 NEC). RMU has been nothing short of dominant so far this season in conference play. They have won eight games in a row, and are yet to lose a conference matchup. In their previous game this season, the Colonials won 71-49. 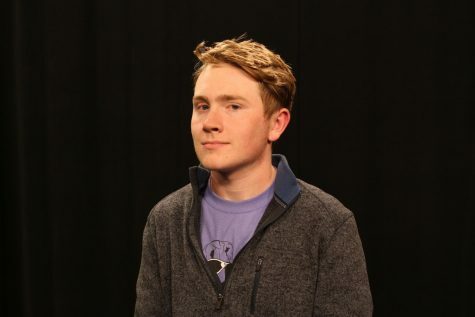 Fairleigh Dickinson will be looking to take advantage of playing on their home court and take down RMU. As for Robert Morris, they will look to remain undefeated in NEC play. Now let’s take a closer look at Saturday’s match-up. NEC-Unbeaten Colonials "Want to get better everyday"
Robert Morris has been on an incredible run as of late. On top of winning eight games in a row, their last victory was against second-place Sacred Heart. The Colonials did not let off the gas in this game, and they won convincingly by a final of 64-46. In the victory, Nneka Ezeigbo scored 16 points and add 11 rebounds. This was a huge night for the center as she also surpassed 500 career rebounds as well. Once again, the Colonials defense shined. Sacred Heart shot only 25% against the tough RMU defense. In large part to Ezeigbo and Ire Ozzy-Momodu, Robert Morris also controlled the glass and brought in 30 defensive rebounds, and for the fourth time in conference play, they held their opponent to under 50 points. 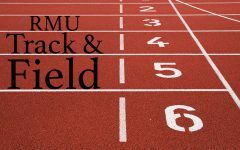 The defensive side wasn’t the only side RMU found success on. When the ball was in their hands, the Colonials took smart shots and remained patient. This led to them shooting 48% for the evening. Three players scored double digits for the Colonials, and 36 of their points came in the paint. RMU’s offense is ranked fifth in the conference in terms of scoring, but they have the best scoring defense in the NEC and the best scoring margin as well. They will look to remain assertive on both ends of the ball on Saturday. Fairleigh Dickinson has lost two out of their last three games but will enter Saturday’s game against the Colonials coming off of a win against Bryant (6-13, 4-4 NEC). In the 10 point victory, the Knights scored 28 points inside the paint and scored an additional 14 points off of turnovers. Natalie Zamora led the Knights as she pickpocketed the Bulldogs and raked up 4 steals and scored 13 points in addition to five rebounds and three assists. The Knights Peniel M’Bikita recorded a double-double and helped lead Fairleigh Dickinson to victory. Her 12 point and 10 rebound performance was perhaps the biggest of the game. She will look to make her presence known once again come Saturday. 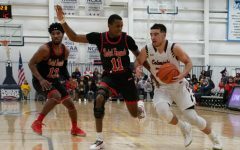 Fairleigh Dickinson’s offense is ranked second to last in the NEC, they will need to make sure to take smart shots and be patient on offense in order to find success against the RMU defense. The Knights have the second-worst field goal percentage in the conference at 36%, something they will need to improve on this Saturday. They also have the third-ranked scoring defense and might be able to create some trouble for Colonials shooters. Nneka Ezeigbo (RMU): Ezeigbo is not only coming off a great performance in the Colonials last game, but she also found success against in their last game against the Knights. She recorded a double-double in the previous game against Fairleigh Dickinson, and she will be looking to find similar success and add to her 500 plus career rebounds while also remaining one of the Colonials’ main scoring threats on offense. Ire Ozzy-Momodu (RMU): Ozzy-Momodu is also a huge threat down low, and is a tenacious rebounder. Fairleigh Dickinson could have trouble trying to slow down both her and Ezeigbo. Look for her to attempt to replicate her 14 point, 11 rebound outing against Sacred Heart. Lauren Francillon (FDU): Francillion scored 20 points for the Knights in their last game against RMU. She also was ferocious on the glass and grabbed eight rebounds. Francillon is going to have to have a similar outing in order to lead the Knights to a win on Saturday. 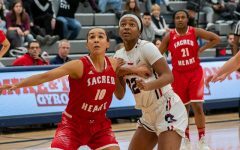 Natalie Zamora (FDU): Zamora’s performance against Bryant was huge, and the Knights will need her to make perhaps an even greater impact this weekend. Zamora is a big defensive threat and can dish the ball to the open teammate, or score herself. 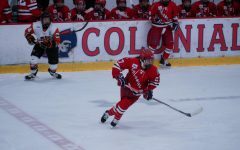 The Colonials will look to slow her down and limit her offensive production. RMU’s 22 point victory over the Knights earlier this season was nothing short of dominant. Fairleigh Dickinson had two points at the end of the first quarter, and had only 11 points at half. I believe that this one might be a little closer due to it being a home game for the Knights, but RMU is too dominant on the defensive end. They are also smart with the ball in their hands and can score down low or behind the arc. This is why the Colonials will win convincingly yet again.